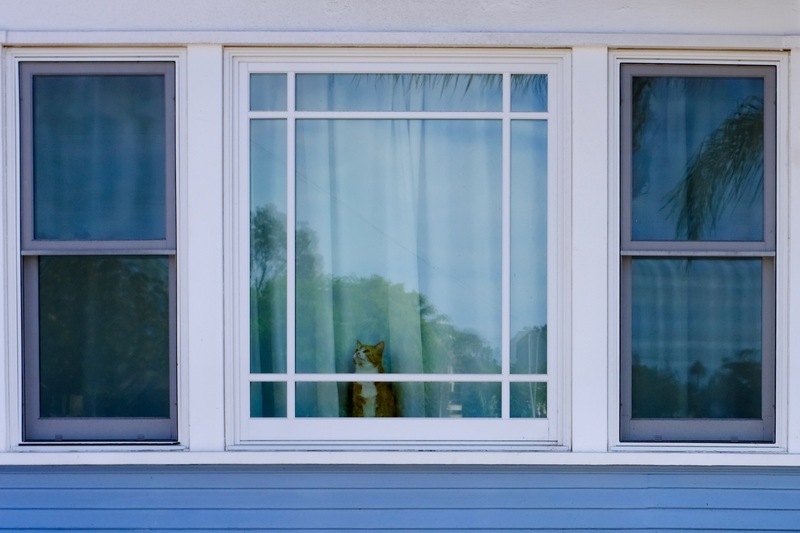 On April 26, 2017, as my wife and I walked down Lincoln towards Maryland Ave. from the Vermont Street Bridge, a Window watcher caught our attention. The kitty looked our way briefly, but Spring birds commanded his attention. I captured the moment, at 4:16 p.m. PDT, using Fujifilm X100F, with Velvia film simulation. The Featured Image is cropped and slightly straightened and enhanced. Vitals, aperture manually set: f/5.6, ISO 200, 1/480 sec. 23mm. Previously featured felines: Scruffy, Roly Poly, Woo, Skull, Biscuit, The Colonel, White, Chipper, Frisky, Stretch, Needy, Farfisa, Mates, Hunter, Pee-Pee, Blue, Blue Too, Bonded Pair, Patience, Fess, Jumper, Frenemy, Looker, Cozy, Scout, Lurks, Skit, Mini, Betty, Black and White, Stalker, Bell, Chill, Sammy, Scratch, Poser, Star, Grey and White, Watcher, Herman, Comet, Roman, Willow, Chub, Nimbus, Watson, Lilo, Kit, Pepe, Twilight, Sebastian, Spot, Booger, Ash, Veruca, Riley, Mellow, Bonde, and Flower.